With a LED flash on the front, you can take the best selfies for you and your friends. So, here are the phones coming with that feature you won’t want to miss. Check them out now! They are new members of the budget Samsung Galaxy J series. 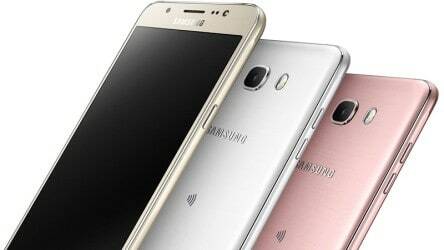 Talking about Samsung Galaxy J7 (2016) specs, it sports a 5.5-inch Full HD Super AMOLED screen, a 3,300mAh battery, an octa-core 1.6GHz processor (said to be Exynos 7870), 3GB of RAM, 16GB of internal storage (+ 128GB), LTE network and NFC capability. As for camera, the main one is capable of 13 megapixels and the front snapper is 5 megapixels. Additionally, there are LED flashes on both surfaces of the phone to help take photos in low-light conditions. 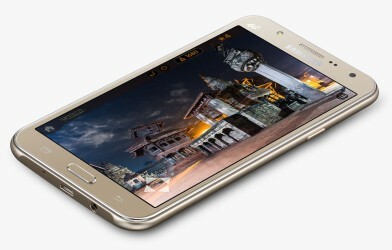 In terms of Samsung Galaxy J5 (2016) specs, it boasts a 5.2-inch HD Super AMOLED display, a Snapdragon 410 quad-core 1.2GHz chipset, 2GB of RAM, 16GB of ROM (+ 128GB), and a 3,100 mAh batt. For its camera combo as well as other features, there is no difference compared to the Galaxy J7 (2016).